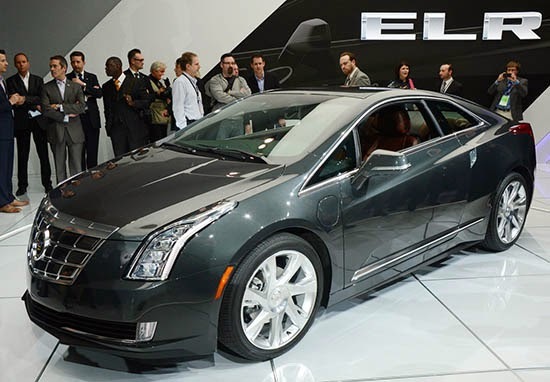 Burlappcar: The Cadillac ELR is a flop. They sold 41 in January, and 58 last month. That is 99 so far! Even if sales pick up ( by a lot) and they average 100 a month, it will still be only 1200 a year. Or about a 3rd of what they had predicted. Who could even thing this car could be a success? It was killed by GM before it even came out. It looks great, inside and out. But you can't sell a $35 000 Volt with a Cadillac body for $76 000. Everyone has told GM it seems. Of course, it has been getting pretty bad reviews all around. They didn't even try to make it better than the Volt. It uses the exact same power train and has the same range. This is a car that should be at most $45 000. Pricing it at $76 000 is the best way to kill it. As it stands today, with the feeble Corolla-like acceleration and horrible electric range, it would be stretch to price the ELR at $45k. It's a gorgeous car, but they really needed to make it better. Substantially better. Cadillac was arrogant to assume that wealthy buyers would only be interested in the style of the car, when the substance is clearly lacking. Even if Cadillac doubled the acceleration and doubled the electric range, it wouldn't matter at this point. The development and launch of the ELR has been completely botched. It's in consumers' minds that the ELR is a flop. And that's difficult to change. I think it's safe to say we'll be seeing some more executive shuffling on the horizon. Which is a shame, because every one of them ought to be canned for the incompetence they've bestowed on the world. The advertising is as horrible as the car. Instead of a big-name spokesman, they got a C-list character actor extolling the virtues of being rich, though apparently not rich enough to buy a Bentley or Maserati.. which in a way sums up the ELR itself.. an also-ran electric car trying to compete in the big leagues. I think they were smoking the Tesla/Fisker pipe on this one...Yet nobody would drop that much coin for a mediocre Volt coupe. Wonder how many of the 99 sold were to non-GM employees. Probably not many! Corolla-like acceleration? Have you even DRIVEN a Volt? It has tons is instant power. GM was in some sort of denial with this one. I haven't driven a Volt. But the ELR does 0-60 in 8.8 seconds in electric mode and 7.8 seconds with the ICE. A corolla does something like 9 seconds, so it's in the same economy car range. It's all bad. I don't care what the torque fools people into thinking, the car is slow. I have driven a Tesla S with the performance package. A hair over 4 seconds 0-60. It'll walk away from the ELR. Even the base Tesla will handily eat the ELRs lunch. I really like the looks of the Volt and the ELR. But GM really screwed the pooch on this one. Ah….the old gm is back. Lets see how much they can steal from the taxpayers this time. Vince, as usual I agree with you! The one thing I would add is that GM should have launched the Cadillac first before the Volt (the halo effect...). And yes, the Cadillac should be prices at $45,000 as an entry level product for them them (it makes sense that someone who might stretch financially to buy a Cadillac would care a lot more about saving on economy of the electric engine). Next, two years later they should have launched the Volt at around $30,000 or $35,000 - customers would running to Chevy to buy the Volt in this scenario. It really scars me to see some of the old GM decision making models have not died. The Volt and the ELR are a HUGE failure only because of the pricing and marketing decisions made, not because of the cars. That's too bad because the exterior design of this little coupe is awesome! If GM could replace the current powertrain with a more conventional turbocharged 4-cylinder engine, maybe they could salvage this little beauty. I'd hate to see such a beautiful bodyshell go to waste. ...and yes, they need to drastically reduce the price. Pricing this vehicle at such a ridiculously lofty level was an obviously stupid move by GM. Hey Vince, proofread what you write.